Green Industry Professional? Don’t Miss the Perennial Plant Association Southern Sustainability Symposium. Dallas, TX – (8/24/2015) –Landscape designers, contractors , growers, and retailers in the South face growing challenges when it comes to navigating the impact of extreme weather conditions. Intense heat, drought and flooding are impacting how companies do business, the landscapes they create and what they grow and sell. The Perennial Plant Association (PPA) has brought together an inspiring and knowledgeable group of speakers to address sustainability challenges and solutions across each area of the green industry. 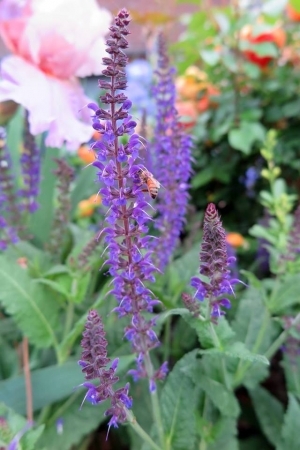 With a focus on perennials, speakers will cover plant trialing resources, heat and drought tolerant plant selections, landscape restoration, sustainability and bio-controls for growers, supply chain issues and solutions for landscapers and retailers, plus using native plants for color. The 1-day event is being held on Monday, October 5th in Dallas, Texas in conjunction with All-America Selections Summer Summit. The symposium is being sponsored by Halleck Horticultural, LLC. PPA Symposium participants can also register for the AAS Summer Summit programs and tours.